Dionne was the last collaboration between the songwriting team of Burt Bacharach and Hal David with their protégé Dionne Warwicke. It was also the first album where all three attempted some socially aware songs against the backdrop of the Vietnam War, black power and the civil rights movement. Warwicke, the first female black singer to garner so many contemporary pop awards, was looking over her shoulder at a young, gifted and black Aretha Franklin, who was leading the soul music movement. If Warwicke was worried, she had reason to be. The music business was changing beyond the safe harbour of her supper club audience. Teenagers were becoming the important sector to target. Her earlier attempts to sing for this audience were stymied by her former record label, Sceptor. Between 1967 and 1972, Warwicke, Bacharach and David had recorded a number of interesting songs that Sceptor refused to release. These only came to light in 1973 when Sceptor released From Within, after Warwicke had bolted to Warner Brothers. Most of the tracks were either gospel (Jesus Will, Somebody Bigger Than You Or I) or socially conscious/ civil rights numbers (Slaves, Nina Simone's To Be Young Gifted And Black), which presumably Scepter wanted to keep under wraps lest she alienate her adult audience. Warwickes elegance and style were clearly unsuited for political songs. She was the epitome of a black singer who had embraced the white world while her brothers and sisters were still struggling with their identity. This was the era of Black Power. Warwicke was also much older than the younger soul artists articulating from the streets. 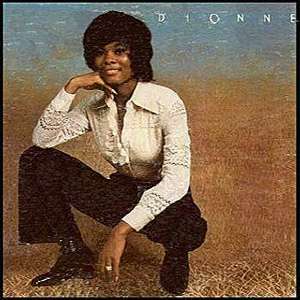 Dionne was crafted as an album of easy-listening tunes with Bacharach and Davids trademark muted horns and off-centre melodies. Where the songwriting pair veered off was from the easy-to-remember melodies of their previous pop hits. All the new songs had the maturity of songsmiths no longer looking to "knock-off" hits but advancing their style with complex tunes and multi-layered arrangements. These were delicate and intricate tunes that only a singer with an inner ear for subtle melodies could master. Warwicke pulled it off magnificently. Hal Davids lyrics read like he was attempting to write a John Lennon song. On the lead track of side two, Be Aware, David attempted Imagine. "Somewhere in the world, someone is cold  be aware/ And while youre feeling young, someone is old  be aware/ And while your stomachs full, somewhere in this world, someone is hungry/ When there is so much, should anyone be hungry? / And while you speak your mind, others cant speak  be aware". Each question hung in the air as Warwicke and the music suspended belief. Its the only song that remains in print in a new Dionne Warwicke compilation recently released by Rhino. The other classic tracks here include I Just Have To Breathe, The Balance Of Nature and If We Never Say Goodbye. I just have to breathe." The Balance Of Nature is more of the same sorrowful sigh with a solo harmonica echoing the singers isolation. David again offered some cosmic lyrics, "Day by day, we all search for love/ The way we are born to do/ Not one by one but two by two". Its when the trio attempt a recording of Close To You and One Less Bell To Answer that things falter. Warwickes Close To You hasnt got the pathos of Karen Carpenters rendition. Bacharach and David were probably just as aware of The Carpenters challenge to bring the supper club sound to the teens. The cover of Lesley Duncans Love Song is the most ordinary. From arrangement to singing, it remains faithful to the original. It was probably a bad choice for someone of Warwickes sophisticated stature to handle a folk hit. Neither could she sing the soulful One Less Bell which fell on the 5th Dimension to make a hit. It is to the trios credit that they never attempted a style they were unsuited for but the failure of Dionne to sell, caused consternation. None of the songs here charted and for the next couple of years, Warwicke would shift from producer to producer (Holland-Dozier-Holland, Issac Hayes, Barry Manilow) in search of another team of hitmakers. 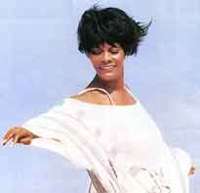 For a while, Warwicke found fame with Thom Bell who gave her the Track Of The Cat album with the big hit, Then Came You. But clearly this sophisticated lady burnt her bridges when she mounted a successful US$5 million suit against her mentors Bacharach and David. In the 80s, Warwicke hosted Solid Gold, acted on television and in 1985 she reteamed with Bacharach for That's What Friends Are For, donating the proceeds to AIDs research (and winning her fifth Grammy in 1987). She attempted successfully a Brazilian album, Aqualera do Brasil (1995), and is currently residing in Buenos Aires. Her last album is 1998s Dionne Sings Dionne where she attempted her old hits in a different setting, for instance a salsa take of Do You Know The Way To San Jose? NOTE: To appreciate Dionne Warwicke, look beyond her hits albums for her original albums on the Sceptor label. Most have been reissued on Sequel in the UK. For her last works with Bacharach/David, youll have to look for original records of From Within (1973) and Only Love Can Break A Heart (1977). Both collect outtakes recorded before 1972 but never released until much later.